Uses images from English Heritage’s unique photographic archive (formerly known as the National Monuments Record) to chart the last 150 years in the life of this extraordinary and iconic site. Stonehenge is the world's most famous pre-historic monument and, since the middle of the 19th century, probably the most photographed. Using images from English Heritage's unique photographic archive (formerly known as the National Monuments Record), Stonehenge: A History in Photographs charts the last 150 years in the life of this extraordinary and iconic site. These largely unseen images touch on various moments in Stonehenge's history, from the leisurely tourism in the last years of Victoria's reign to the monument of today, a site visited each year by more than one million people from all over the world. 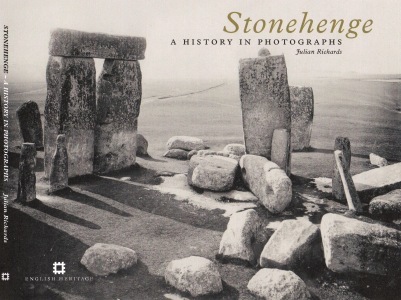 This book is a celebration of Stonehenge, in fascinating and often very human images. The text is written by archaeologist and television presenter Julian Richards, someone with a genuine love of Stonehenge. This is a book for all who share a fascination with this magical monument.